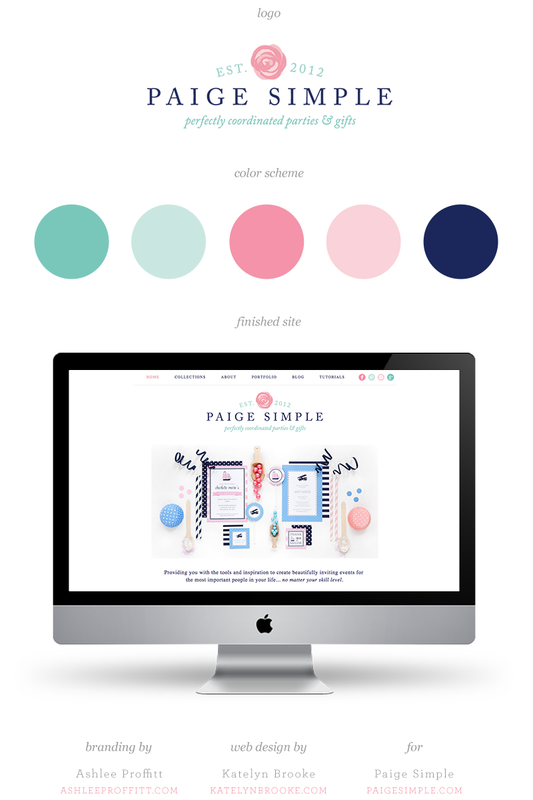 I’m posting late in the day today to share with you the new Paige Simple site! Kristin is a talented designer who sells printable stationery geared towards children’s events. I love her clean and preppy style! She came to me after having her branding done by Ashlee Proffitt, and was really involved in the process from the beginning. I truly enjoyed creating this clean website to highlight her awesome work and brand! Kristin is one of those people who excels at considering each detail (which makes her awesome at her job!) and meant that she came to me with lots of ideas about each page for her site. This was truly a collaborative effort, and I’m so pleased with how it came together! There are so many great pages on this site, but if I had to pick, I think I’d have to give the top pick to her about page. Make sure you check out the site for yourself, lots of fun details to discover over there! Just clicked over to the site and I am so inspired! Your designs always make my day and inspire me to work on my design skills!